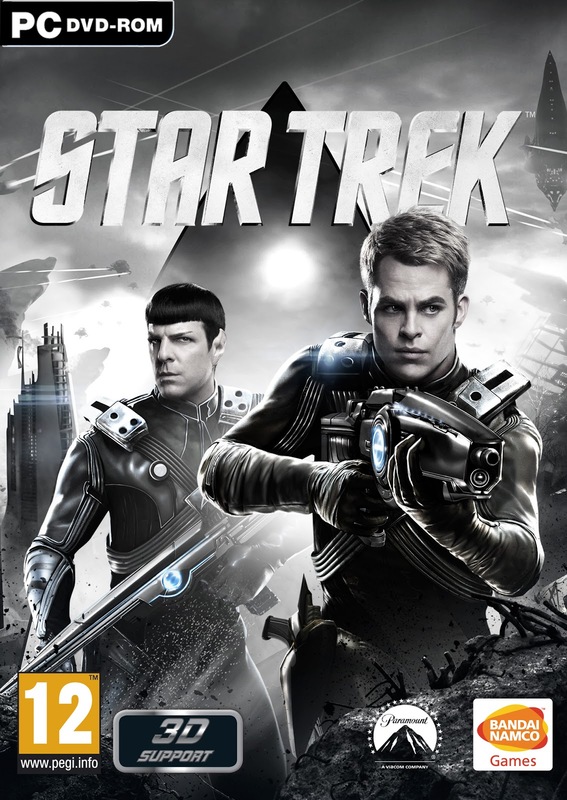 Recently, Namco Bandai announced that Star Trek: The Video Game will be released on April 26th 2013 in Europe and Australasia! 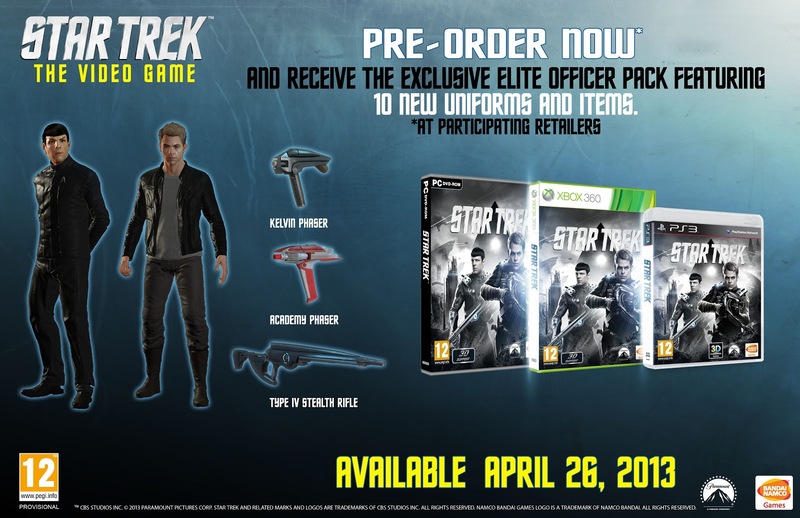 Moreover, the legion of eager Star Trek fans and gamers will be able to place their order soon, as the game‘s preorder program will be starting in the coming weeks at participating retailers. 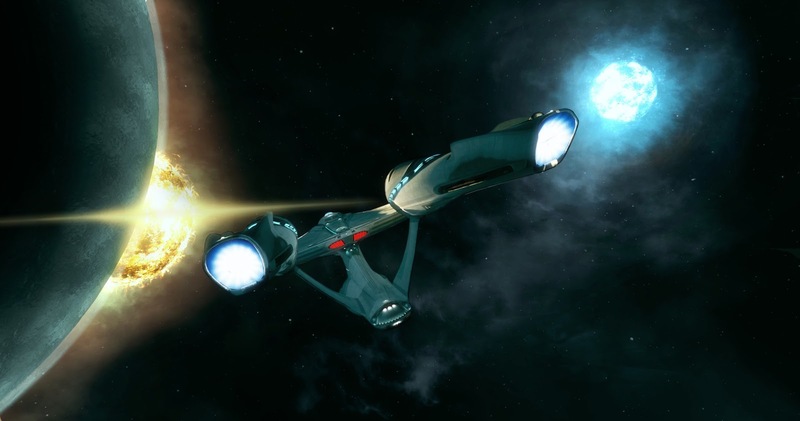 STAR TREK will bring an original adventure to the Xbox 360, PlayStation 3, and PC at retailers and via digital download for PC and PlayStation 3. 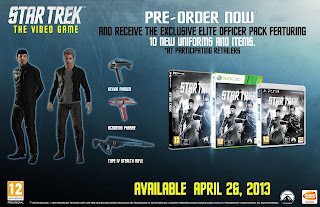 All pre-orders for the game will include access to the “Elite Officer Pack,” which features exclusive items and unique uniforms for legendary characters Kirk and Spock, who play front and center in a completely new story created especially for the upcoming title, written by BAFTA award winner Marianne Krawczyk. 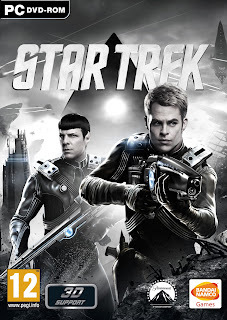 See new artwork and box art below!